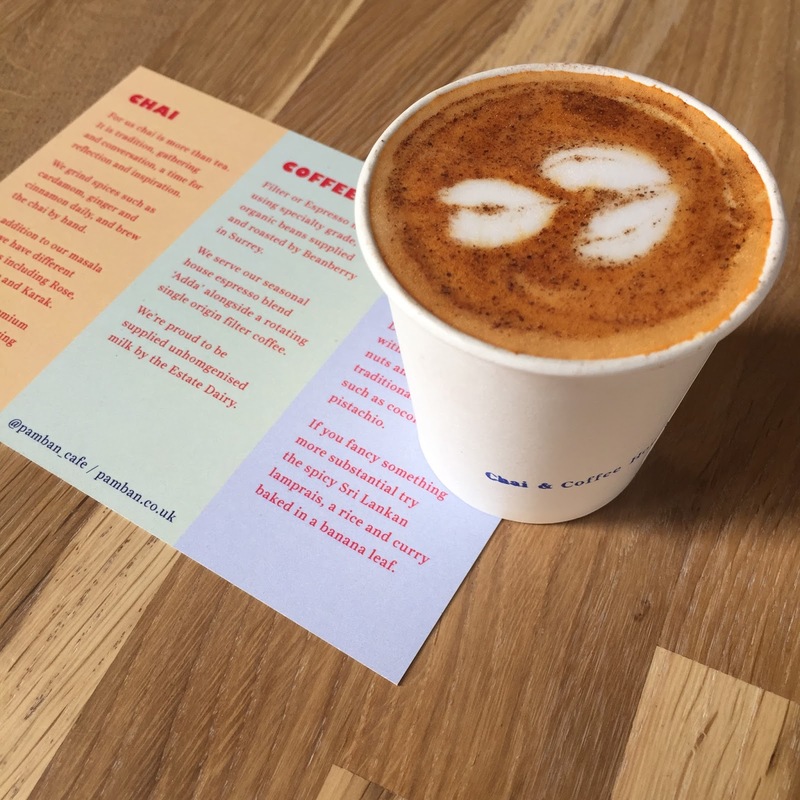 Last month I attended Tia Maria’s Coffee project event in collaboration with Future Laboratory which took place at the hip and independent coffee shop in London’s Bermondsey called Chapter 72. 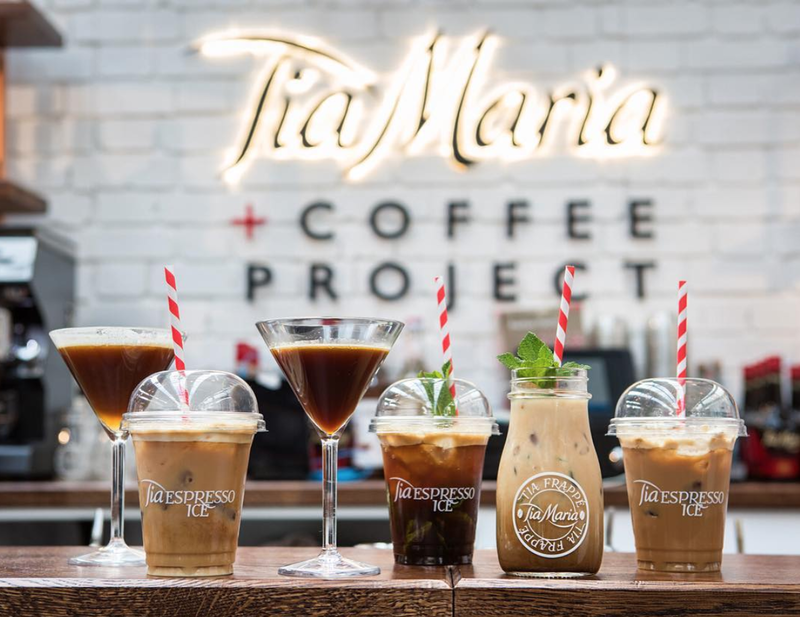 The recently opened coffee and cocktail shop specialise in using award-winning coffee from roasters Extract to create cocktails such as decaffeinated espresso Martini, featuring one of the original 1980s ingredients, Tia Maria and Reyka small batch Vodka. It was an evening of great takeaways from Future Laboratory’s Foresight Editor Steve Tooze sharing insights of current and future trends of the coffee and coffee cocktail culture. Research shows us that the coffee cocktail renaissance is set to explode with the perfect synergy of coffee and cocktail cultures. 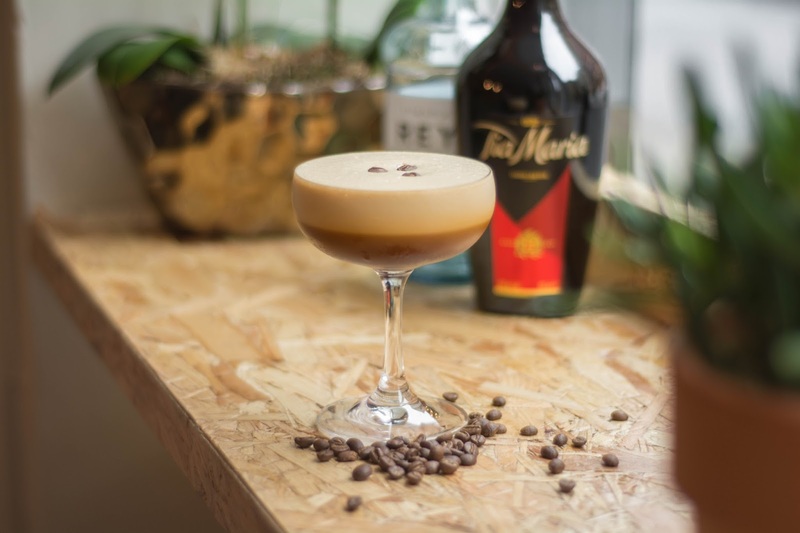 Discerning drinkers have been enjoying coffee cocktails since the Espresso Martini landed on the scene in the 1980s, but it only now the astronomical growth of the trend has really taken off. 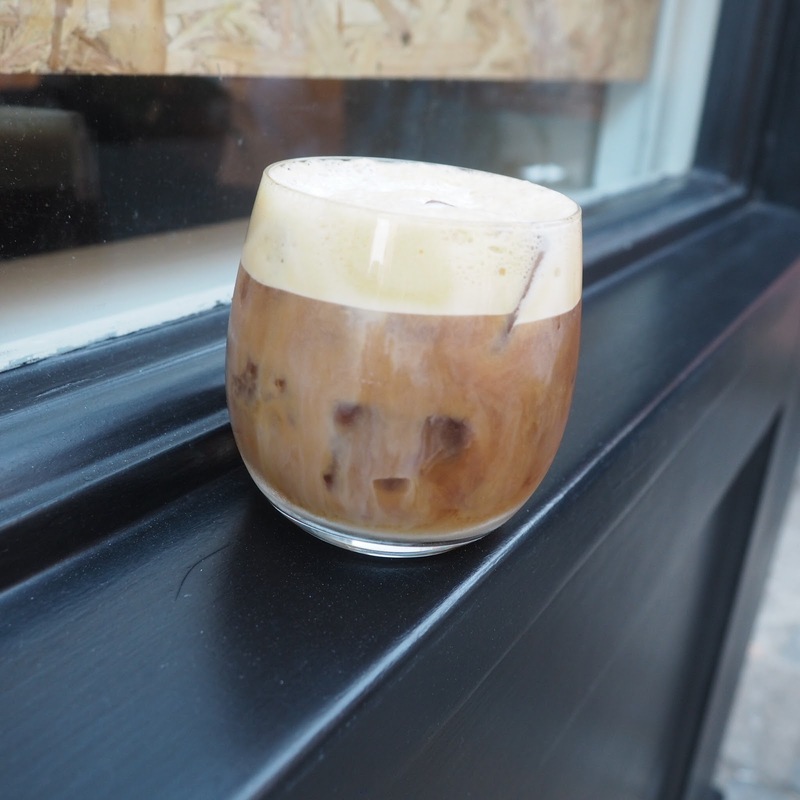 Waves of development in coffee have been echoed in innovations in coffee cocktails. Whilst driven by millennials aged 22-34 around the world, the trend has gained momentum. 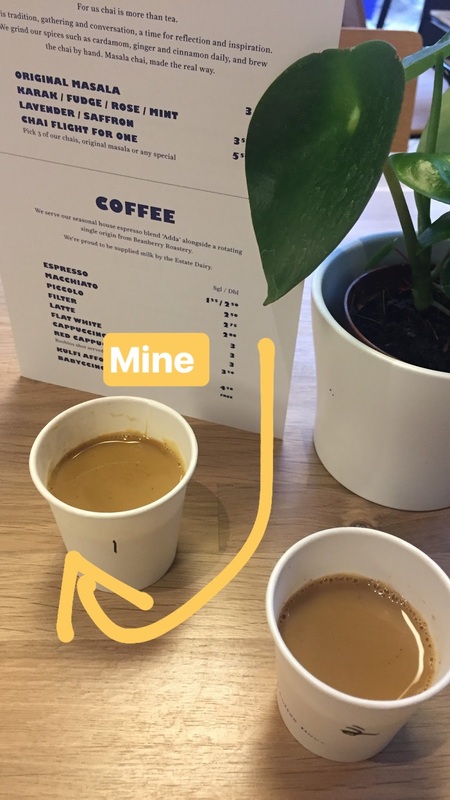 Also, this age group would like to see more coffee houses serving alcohol according to Mintel. 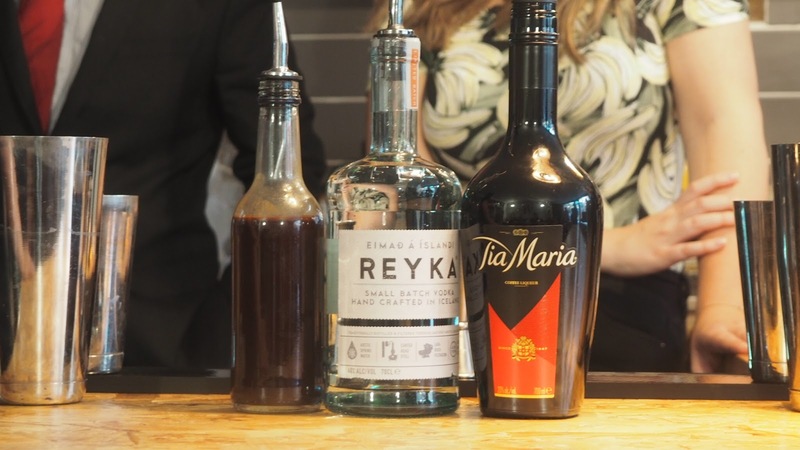 Alongside the impressive facts, We got to sample the Tia Maria cocktail menu which has a selection of new serves and with a hands-on masterclass with Tia Maria’s very own ambassador Stephanie Rainbow. 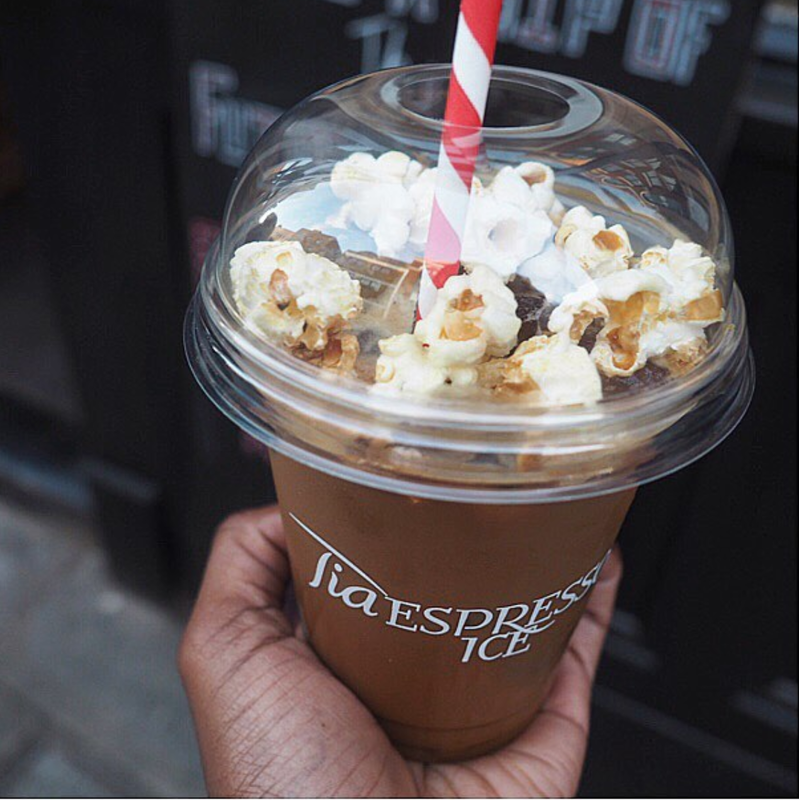 Tia Mint Frappe, Tia Mint Americano, Flat White Russia, Tia Cappuccino, Tia Espresso Martini, Tia and Tonic and the top Instagrammable one of them all the Iced popcorn frappe. My fav of the bunch was indeed the iced popcorn frappe for obvious reasons. Although, too much of these can have you bouncing off the walls. With the guidance of Stephanie, I made the White Flat Russian which consisted of Tia Maria, Espresso, Jamaican Rum ( We used Appleton), Demerara, Sugar and fresh milk. It was a fun and enjoyable evening of being able to explore more about the future of coffee cocktails culture and also taste the different Tia Maria concoctions of visual appealing drinks that work well in the area of advanced social media sharing. 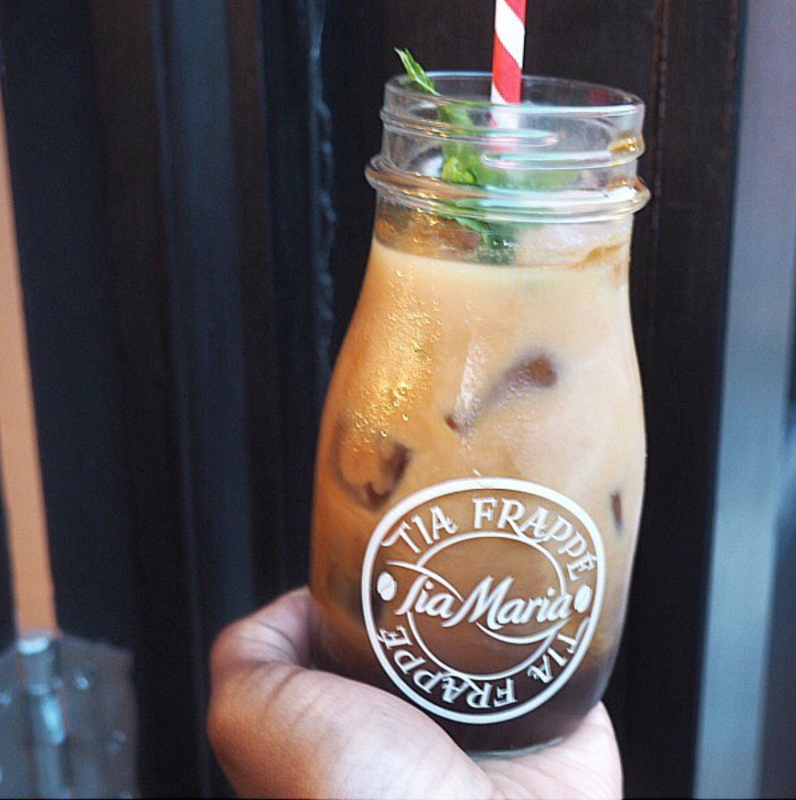 Thanks Tia Maria and stay tuned for my Tia Maria Bottle giveaway where I'll be announcing the details soon on my Instagram page. 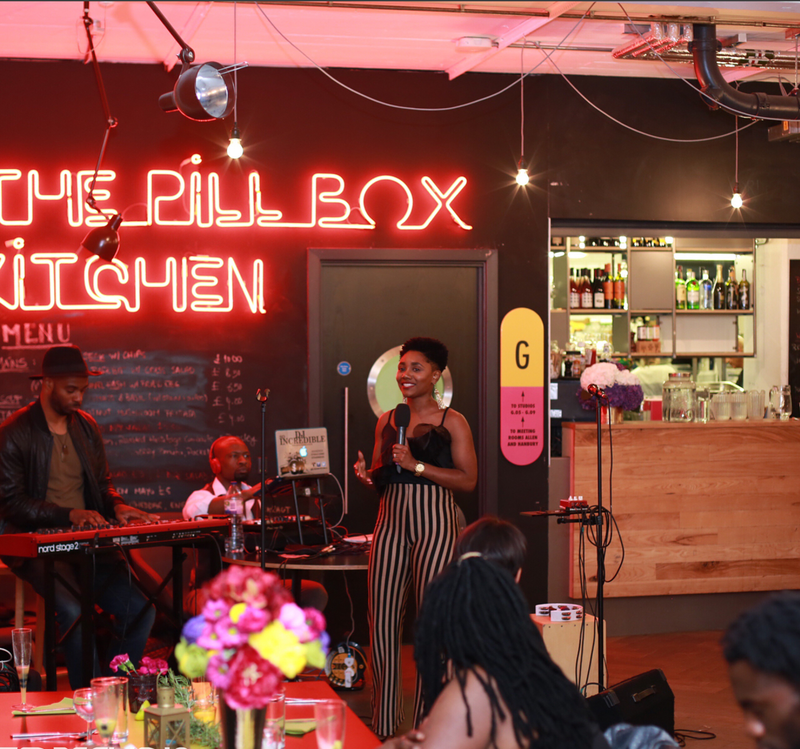 Two weeks ago saw the launch of Eats & Beats Supperclub, which took place in East London’s The Pillbox Kitchen in Bethnal Green. 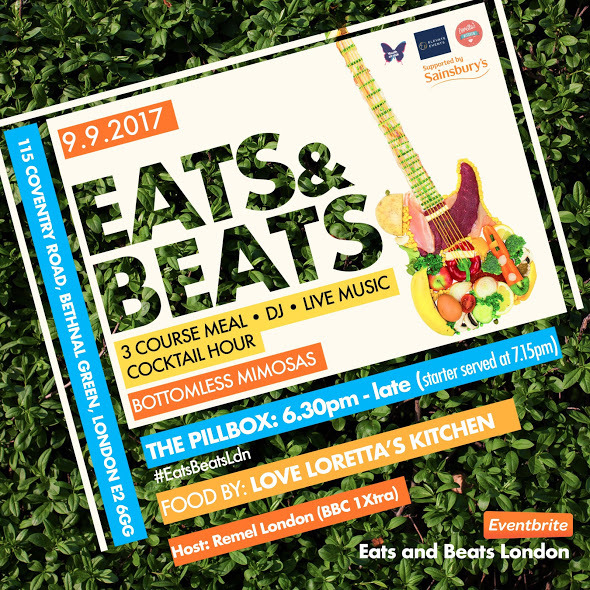 Eats and Beats is the works of friends and two lawyers Christina (who is also a CEO of events company Elevate Events) and Ranette (who provides private catering and has been featured by the Evening Standard 2016 and was the winner of the Guardian's Recipe swap in 2014). Both ladies love nothing more than joining forces and supporting local charities and entertaining. 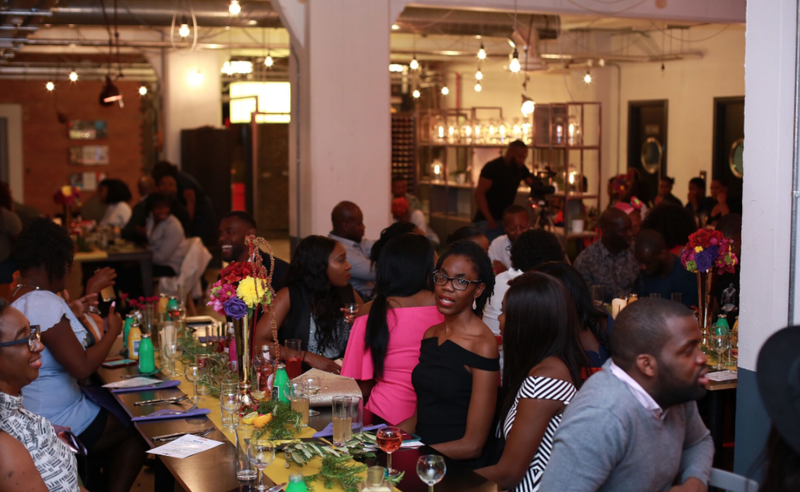 The main initiative for the evening was raising money for GRIT formally known as Youth at Risk which undertakes commendable work to improve the lives of disadvantaged young people in the UK. On arrival, there were smiling faces and I was greeted by Christina. 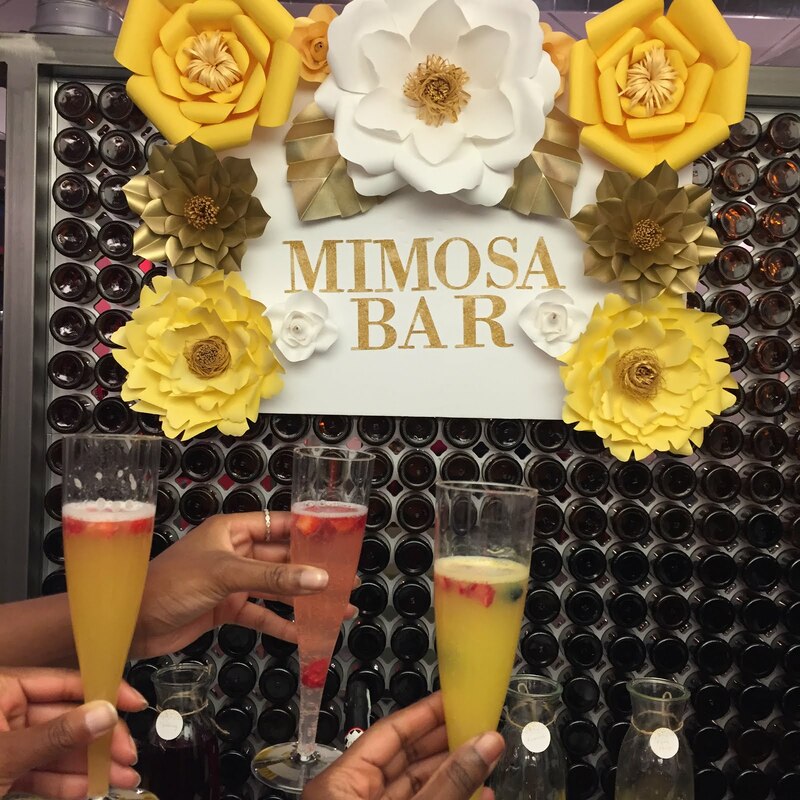 I soon spotted the Mimosa bar which was neatly decorated - serving refreshingly good tasting mimosas in different variations. From the classic orange to pineapple to many others. You could also decorate your mimosa with adding in fruits of your choice. 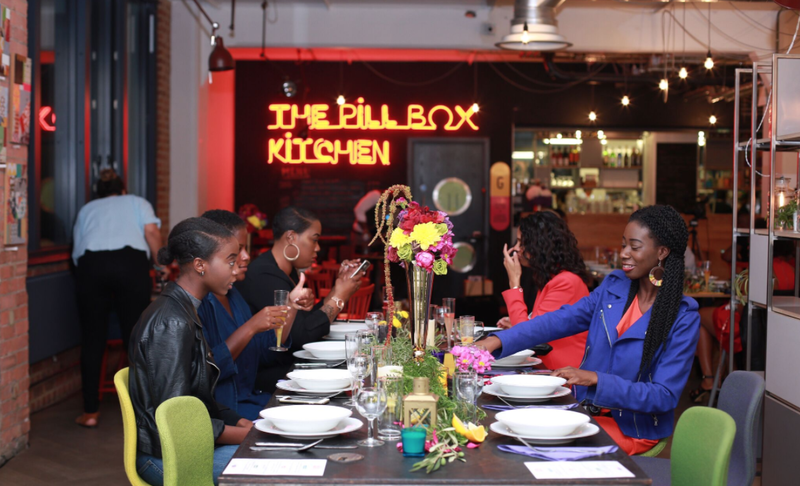 Once I arrived, I met Jen and her sister, who were the giveaway winners of my Eats and Beat Supperclub giveaway which I held on my Instagram. 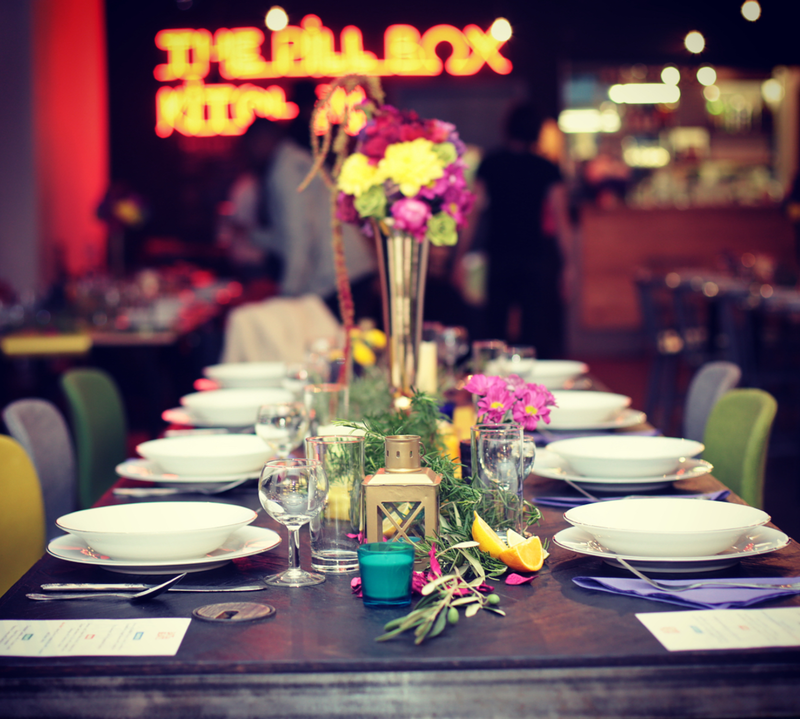 We soon found our way to our seats which were beautifully decorated in bold colours and beautiful flower centrepieces along with the menu for the evening. While the venue slowly began to pack up - DJ Incredible filled the air with old school riddems and current hits. 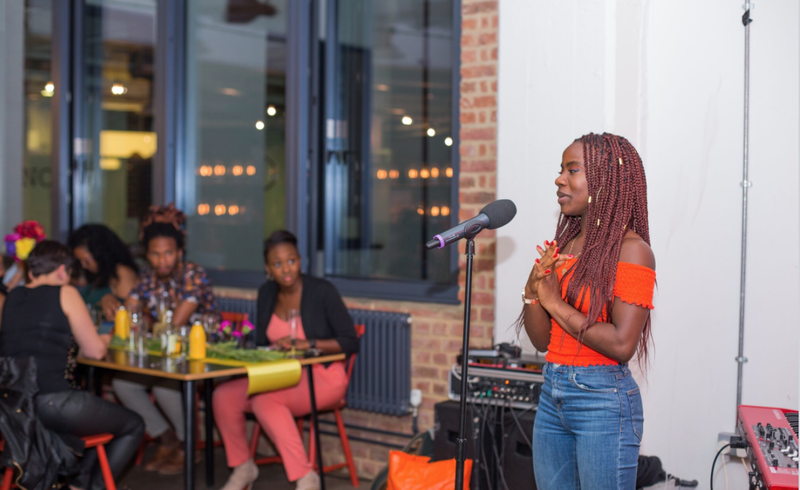 The host was the lovely Remel London of BBC 1xtra, she introduced the order of the evening and filled us with laughter. 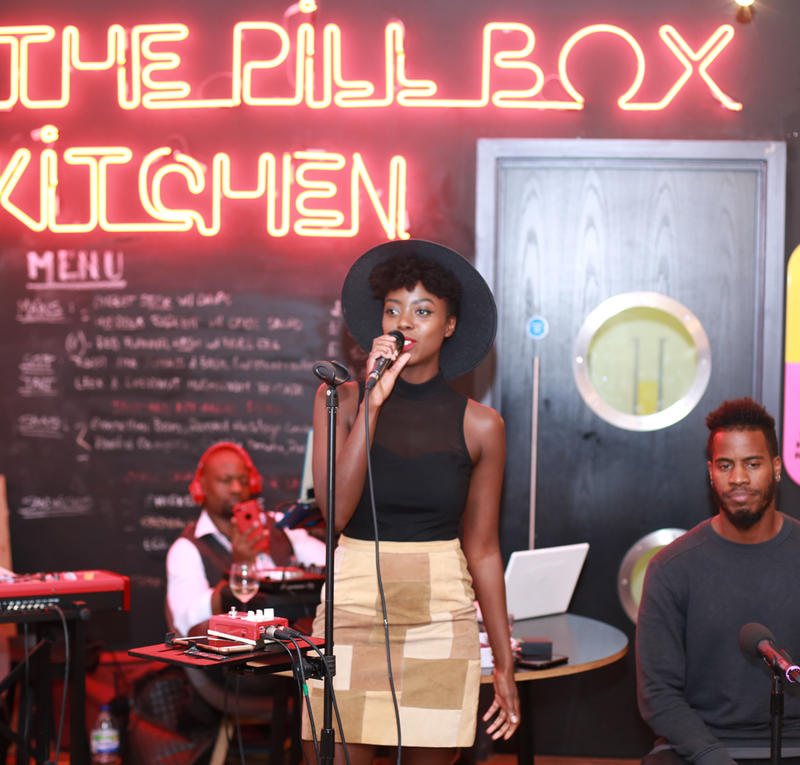 First of the live performances was Sharlene Monique - whose voice blew me away and I was impressed. She sang a song called Beautiful and it was very in need of today’s society. Dinner began shortly after 7.15pm, first up was the Ackee and Saltfish Gyozas served with scotch bonnet infused coconut sauce and roasted sweet pepper sauce topped with crispy kale and nigella seeds. I was really looking forward to tasting this and it was absolutely beautiful. It was perfectly presented and the all the flavours worked well together on the dish. The scotch bonnet infused coconut sauce with the added addition of sweet pepper sauce made a nice warm compliment - perfectly for warming your cobbles on cold evenings or nights. It made a super and enjoyable starter. 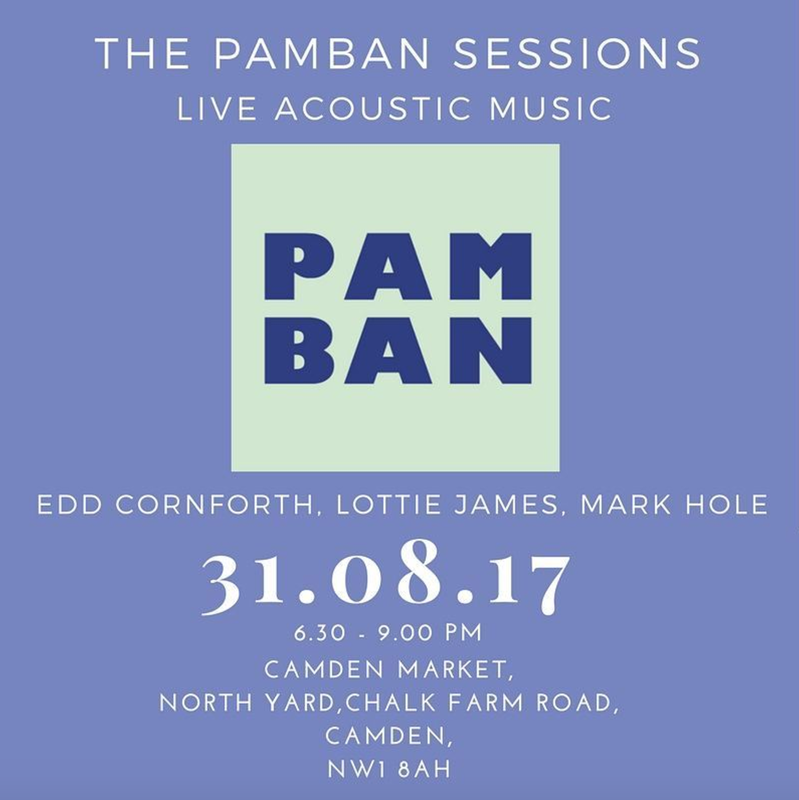 Next up on the performing was Kadina Kamara - again her voice was serene and soulful. For mains- we had the Turmeric & Thyme Mash which was served with sautéed savoy cabbage and Tandoori-style spiced chicken with green herbs and garlic sauce. Also served with Roti, this dish was the ultimate comforting dish - also the Turmeric and Thyme made a nice compliment to each other. 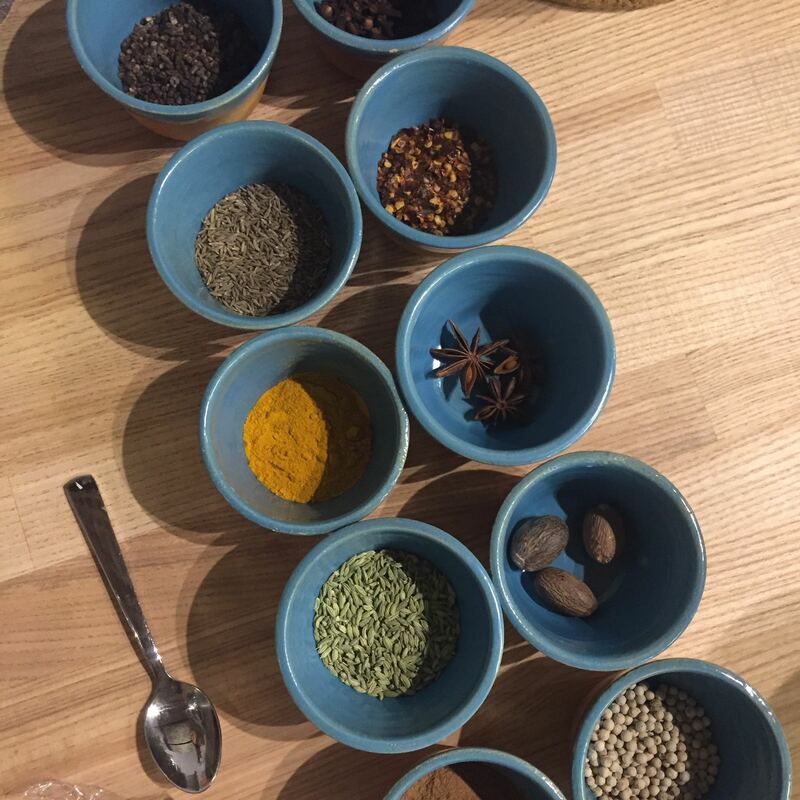 It was very lifting and nourishing, The flavours of the tandoori spiced chicken were very flavoursome. 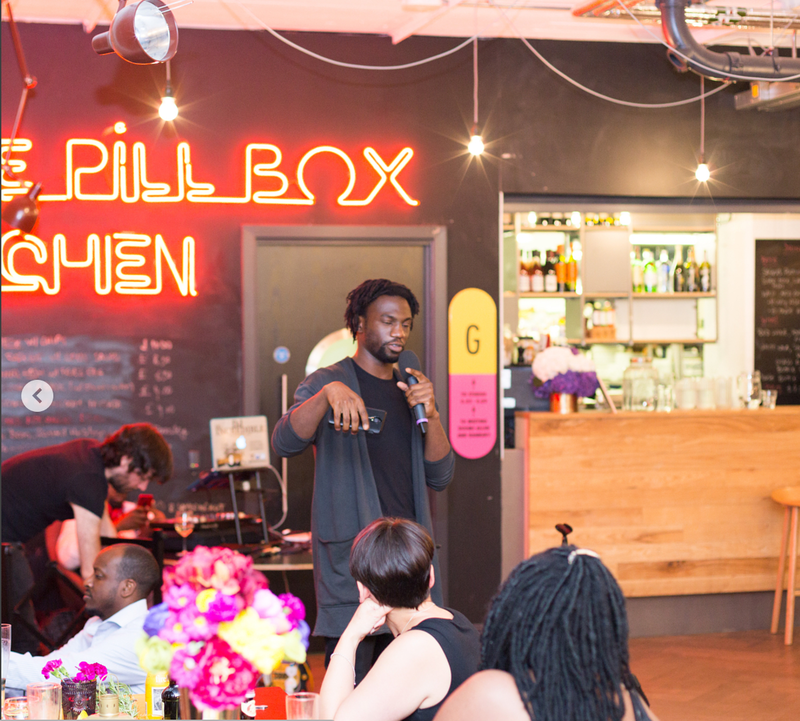 Soon after Jolade did a spoken word performance of his love for hip-hop and it was dope. You had to be there to hear it, his verses were on point. A fantastic piece for the love of the popular music genre. A few other live performances by Jael and Adesayo were done. Although, I didn’t get a chance to stick around for those I am sure they were amazing. I had to make a quick exit - with that being said I missed the dessert. 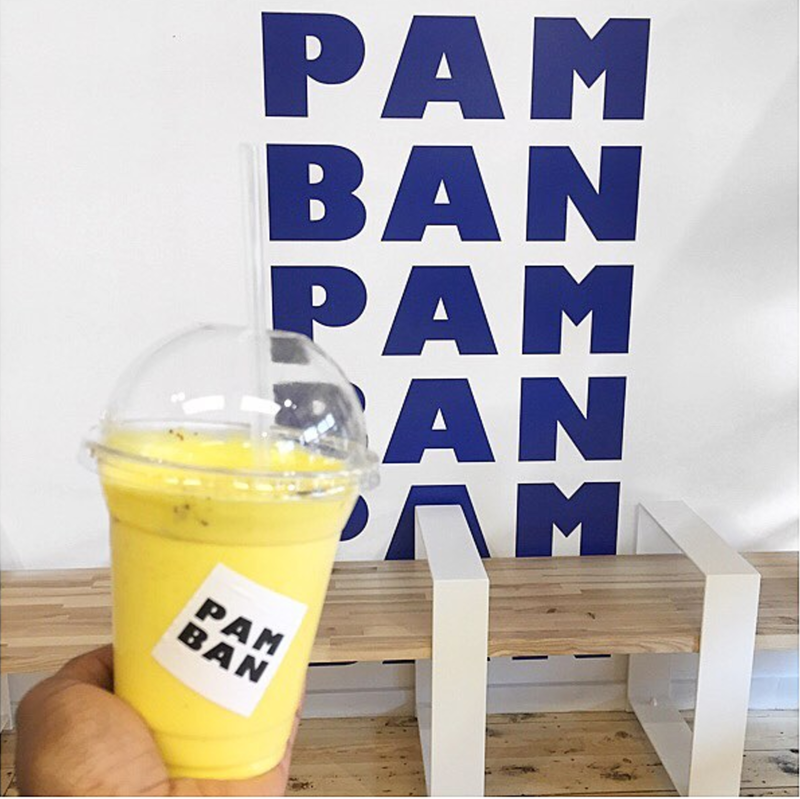 Judging by the below picture - it looked delicious. The dessert - Chocolate Cremuex with a cookie base, hibiscus (sorrel) spiced gelato, cocoa granola and pistachio cream. Overall a very delightful evening for a great cause. It was an enjoyable evening. The atmosphere was just right and it was great to be in a room filled with greatness. 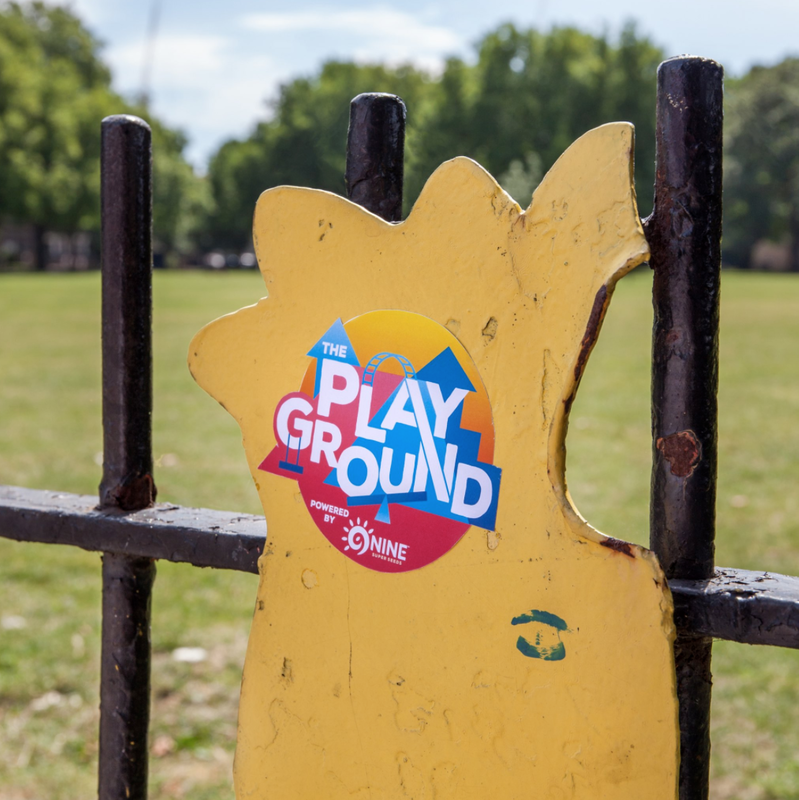 The adult playground was designed strictly for grown ups in mind complete with an adult sized slide, jumbo swings, super-sized see-saws, fireman pole, climbing areas, monkey bars and ball pits.The concept of Play is nothing new – it has helped to form the society we live in today and provides anticipation, pleasure, imagination, social interaction, surprise, fun, liberty and laughter, and that’s just for starters. Playing is good for our mental health as well as our physical well-being, but we seem to stop buying into it once we reach adulthood. 9NINE are about making sure we live life to the fullest and have plenty of fun along the way. 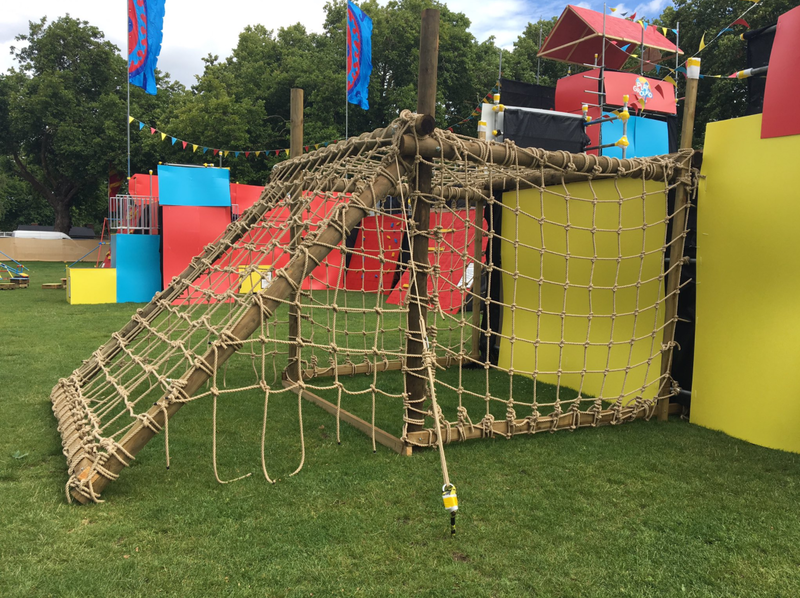 I attended the press launch ahead of its opening on 29th July and like many when I walked through the door - the first thing I laid my eyes on was the massive red slide at the entrance. I was intrigued yet scared but I knew I had to try it. I quickly climbed up like the dotting kid inside me. yet when I got to the top, my heart was beating out of my chest and I couldn’t do it! I guess the fear we face as adults kicked in. (While it may have looked like a simple slide - it dipped and it was quite narrow) Well, at least I couldn’t do it for now. But after checking out the other things to do. 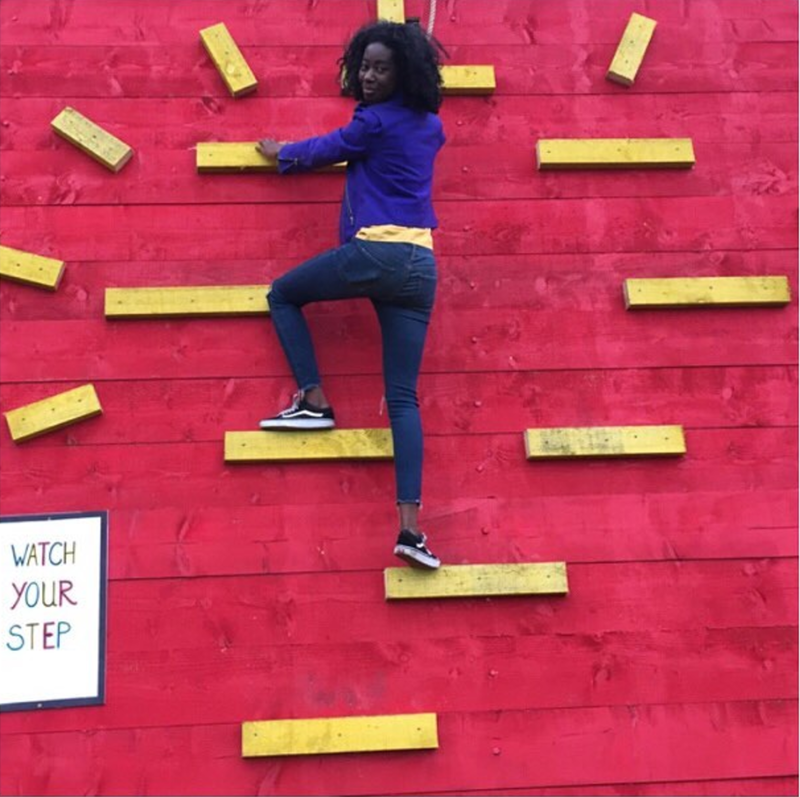 I went back on the slide to conquer my fear and this time I went down it. Woohoo! Happiness is the heart of the 9NINE brand alongside their nutritional side being their 9NINE products(which are worth checking out) for a nutritional boost. Their edible products include bars, seed fusions, and seed bombs. I really liked the taste of the double cocoa and raspberry bar, alongside the chia seed drink. Very tasty and nutritious. For more information on the 9NINE brand and its products. Visit their website here.